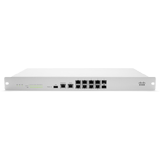 Cisco Meraki MX Security Appliances make it easy to deploy high quality network infrastructure to large numbers of distributed sites. Since the MX is 100% cloud managed, installation and remote management is simple. The MXhas a comprehensive suite of network services, eliminating the need for multiple appliances. Services include a next-generation firewall, content filtering, web search filtering, intrusion detection, web caching, WAN optimization, and link bonding with failover. Content filtering:CIPA-compliant content filter, web (Google/Bing) search filtering, and YouTube for Schools. Intrusion detection: PCI-compliant IDS sensor using industry-leading Snort database from Sourcefire. Unified WAN, LAN, and wireless LAN management through a webbased dashboard. 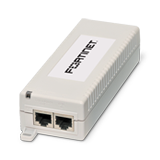 Scales easily from small deployments to large, multi-site deployments with tens of thousands of devices. Role-based administration, email alerts on configuration change, connectivity issues and power loss, auditable change logs. 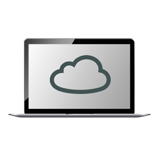 Quarterly feature updates and enhancements delivered on demand from theCisco Meraki cloud. Site-to-site VPN: automatic routing table generation, provisioning and key exchange via Cisco Meraki’s secure cloud. Link bonding: combines multiple WAN links into a single highspeed interface, with policies for QoS, traffic shaping, and failover. Layer 3 failover: automatic detection of layer 2 and layer 3 outages and fast failover, including 3G/4G USB modems. WAN optimization: data redundancyelimination,protocoloptimization, and compression provide bandwidth savings up to 99%.